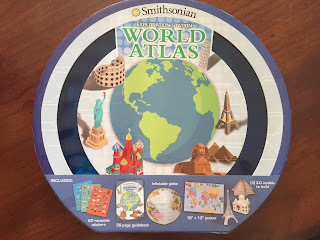 Exploration Station: World Atlas, and The Human Body (November 2018; 6-8 years; $21.99). Discover what makes your blood pump and your muscles stretch in this hands-on learning experience! With fascinating facts, full-color photographs, a plastic model skeleton, and 25 fact cards, Smithsonian Exploration Station: HumanBody (978-1626867215) is a fun, engaging way to learn about the inner workings of the complex systems that make the human body. 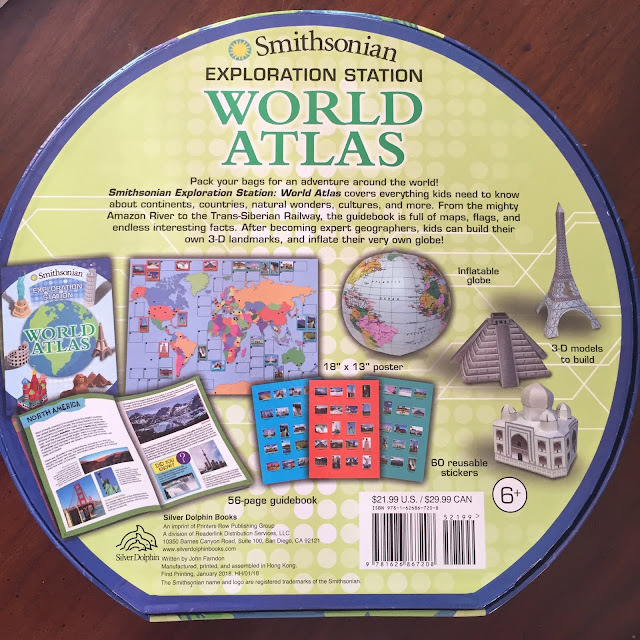 Smithsonian Exploration Station: World Atlas (ISBN: 978-1626867208) is the perfect way to engage kids in the amazing world around them! Head off on a globetrotting adventure in this interactive atlas! Learn about the diverse cultures, customs, wildlife, and natural beauty that form our world through informative text and full-color photograph. 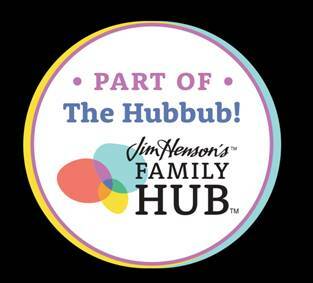 Children will love the hands-on aspect to learning as they blow up their inflatable globe and build the cardstock models of some of the wonders of the world. These kits are so much fun. My daughter was more interested in them then I thought she would be. I would have been so into these when was a kid so it made me very happy to watch her go through them. 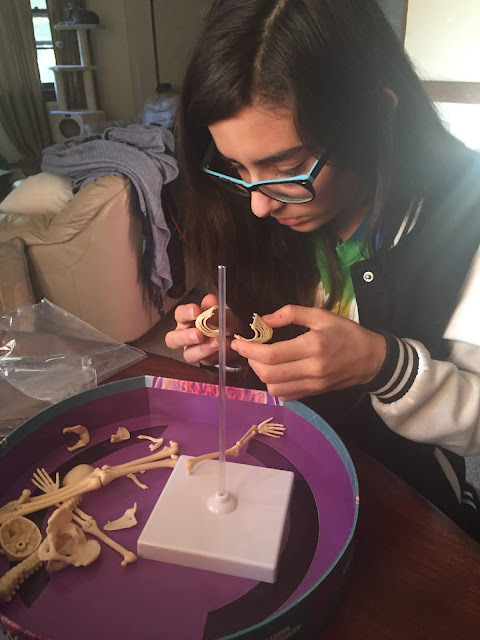 Read through the books and put the skeleton together. 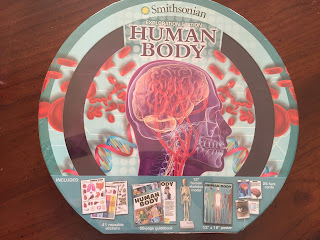 We think the included stickers, books and models make this is a great learning kit that is fun and educational.